Every bride wants to look back at her wedding photos and love what she and her bridal party were wearing. But finding one style to suit all your friends’ tastes is no easy feat. So to avoid dressing your bridesmaids in generic gowns that lack all personality—a safe but perhaps bland route—why not opt for a vintage style that will withstand the test of time? It is true that fashion trends tend to come as quickly as they go, but the ahead classic, retro-inspired silhouettes are arguably eternally cool. From the elegant tea-length dresses of the ’50s, and the always flattering wrap dress that became popular in the ’70s (thanks, DVF!) to the minimalist-friendly slips from the ’90s, these pieces may spark a bit of nostalgia and hopefully some excitement from your favorite squad members, too. Keep scrolling to shop the unique finds here. Velvet is trending again this year. Try this off-the-shoulder dress for a bohemian look. 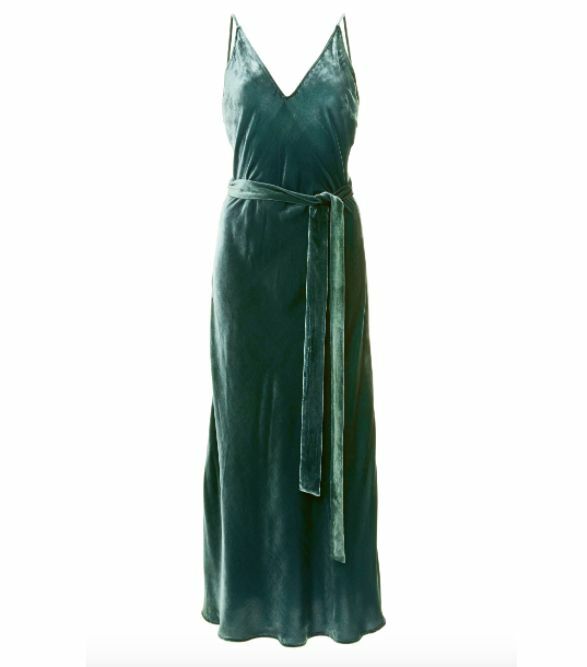 Pair this dress with an elegant updo to showcase the high neckline and open back. Lace will never go out of style. Tea-length dresses like this one became popular in the ’50s. A sophisticated and demure option. A chic twist on a vintage style. The floral print and ruffled hem give this dress a romantic touch. This fitted pencil dress feels quite timeless. This mod dress is perfect for a retro-style wedding. The delicate lace detail makes this design feel extra special. Ask a ’90s kid: You can never go wrong with a slip dress. This embellished design will certainly make a statement. This wrap style will look good on all of your bridesmaids.